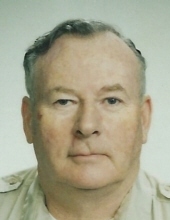 William Charles Herndon, of Whitehall, passed away on Saturday February 2nd, 2019 at Fellowship Manor. He was born on March 7, 1938 in Montgomery, West Virginia, the son of the late Cecil and Ethel (Rader) Herndon. Survivors include his wife Joyce of 55 years, identical twin brother Thomas, 3 children William (Cindy), Barbara and Mary (Josh), 5 grandchildren William, Alyssa, Victoria, Stephen, and Morgan, and one great grandchild Beau, a sister-in-law Barbara (Tom) Feneis, and last but not least, his beloved dog Toby. Bill was an avid hunter, both in the US and Africa, and was a life member of the NRA. He graduated from W.V. Institute of Technology with honors, as an Electrical Engineer. Before moving to PA, he enjoyed coaching and refereeing girls’ soccer and little league baseball in Oakland, NJ, and showing horses. Funeral services will be held at 12:30pm on Friday February 8th, 2019 at Brubaker Funeral Home, Inc., 327 Chestnut Street, Coplay, PA 18037. There will be a calling period from 11am-12:30pm on Friday at the funeral home. Memorial contributions may be made to St. Peter’s Catholic Church, c/o the funeral home. To plant a tree in memory of William C. Herndon, please visit our Tribute Store. "Email Address" would like to share the life celebration of William C. Herndon. Click on the "link" to go to share a favorite memory or leave a condolence message for the family.